Attended with representatives from Little Tiny Sun, Justin Food Prints, Shermyyy, Her Pen And Fork, and The Arctic Star. More Seoul Street Food that I've tried during other visits to Seoul, South Korea, continuing from Part 1. Spent about SGD $110 per person. 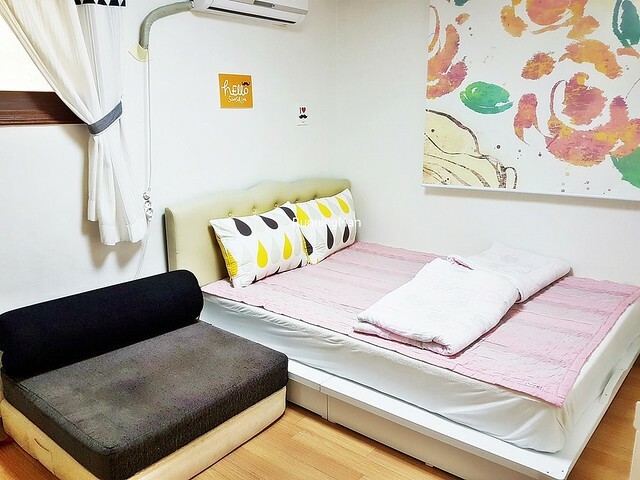 Located about 70 minutes train ride away from the Incheon International Airport in Seoul, the Ewha Hostel is a collective of 4 apartment blocks, spread across different locations, housing up to 30 different guest house apartments. 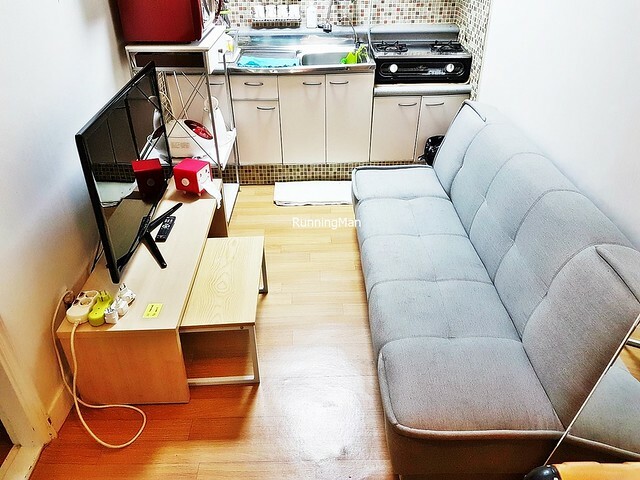 Thus, with Ewha Hostel, it's difficult to know exactly what you're getting, because each is furnished differently. Furthermore, some apartments are newer, while others are aging. Ambience at Ewha Hostel can differ, depending on the age of the guest house you're in. For me, the place was well lived in with signs of aging, however, at least it was clean. 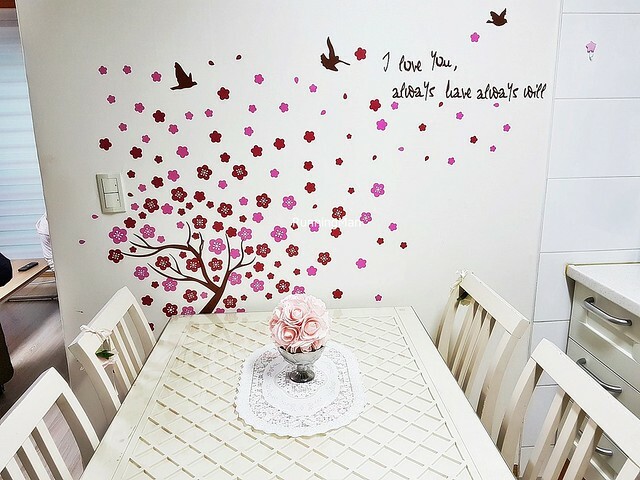 The walls are decorated with cute decor, and the security lock is sturdy. The surrounding location is rather quiet, within a few steps to Hongik University subway station exit 6, but it's nondescript and relaxing. 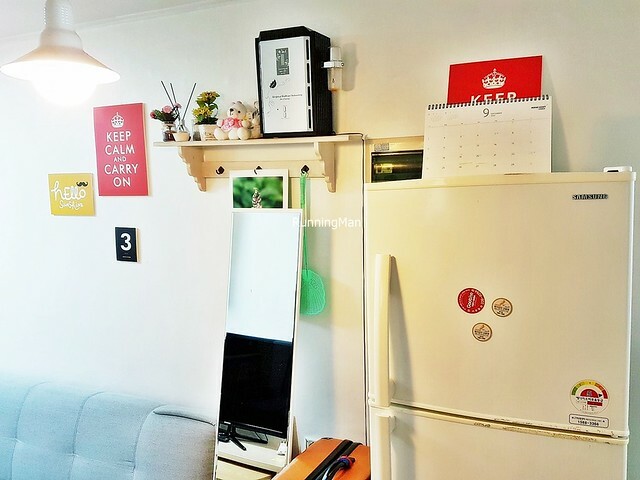 Rooms at Ewha Hostel are functional, but small. The beds are comfortable, but take up the majority of space in the room, however, there is sufficient wardrobe space. Though advertised for up to 6 guests, I find it's more comfortable for a maximum of 4 people. There is only 1 bathroom, which is clean, but we also spotted mosquitos several times within. 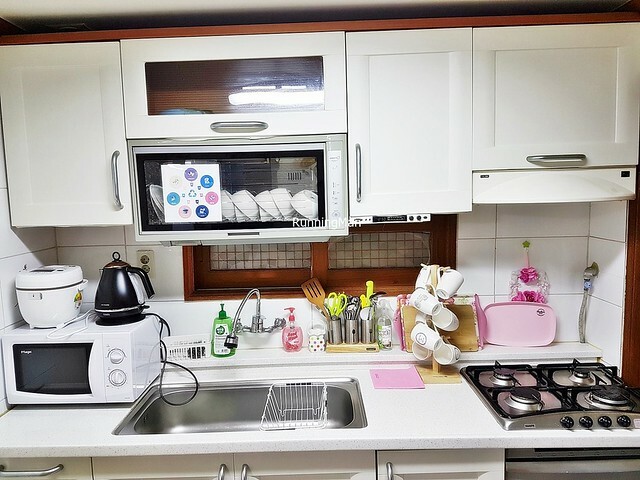 Food at Ewha Hostel can be prepared by yourself, using the fully equipped kitchenette. The stove is easy to operate, and I cooked 1 dinner here. Dish washing equipment is provided, as is simple and functional cutlery, though most are aging in appearance. You'll have to buy your own condiments and seasoning, besides the main ingredients. Service at Ewha Hostel is excellent. 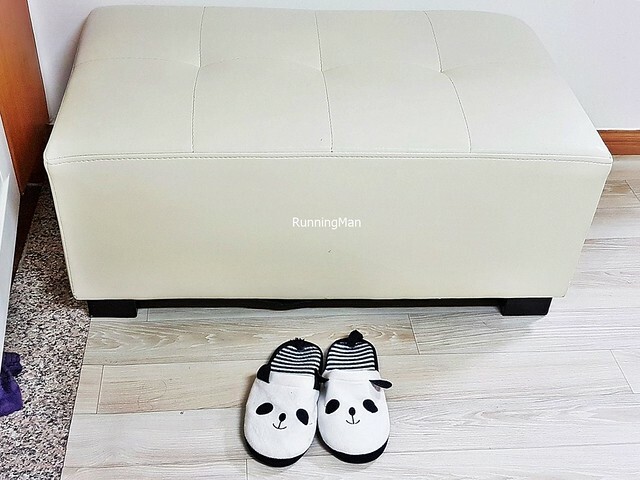 The owner-host, along with her family, run the collective apartments, and will meet and usher guests personally, even though she has hired help. Very responsive to queries, usually replying text messages within 1 hour. During our stay, we also experienced a medical emergency, and the owner-host and her family rendered more than capable assistance, bringing us to an affordable nearby hospital, assisting with the administration, waiting together with us, and ensuring our comfort. Felt well-taken care of, more than we'd hoped for. 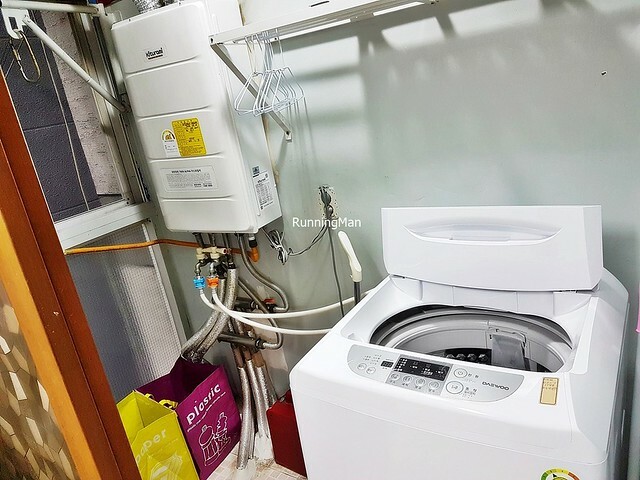 The facilities and activities at Ewha Hostel is limited to watching cable television, surfing the internet, cooking, or doing the laundry via the washing machine provided. 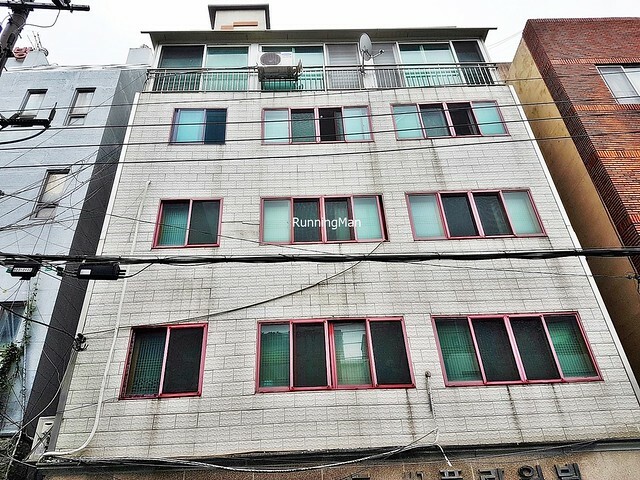 However, Ewha Hostel is located within 5 minutes walking distance to many shops, restaurants, and convenience stores at the Hongdae area, as well as the Hongik University subway station. 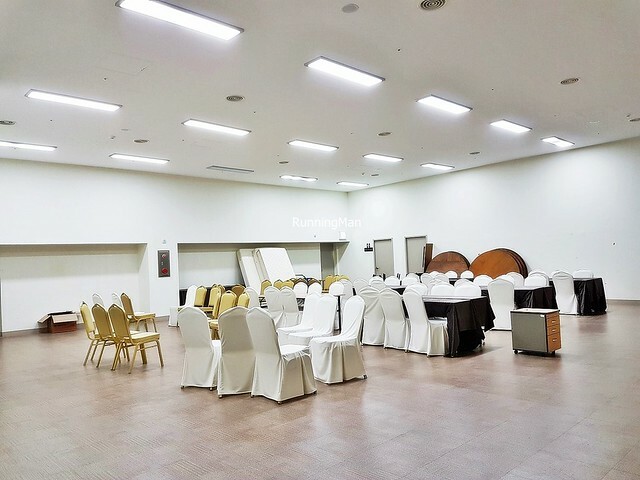 This makes Ewha Hostel a convenient place from which to explore the city. May the divine lights of Diwali bring to your life peace, prosperity and good health. All photos in this post were not shot by me, and are credited to their respective sources. The second largest city in South Korea, Busan is famed for its beaches, hot springs, and nature reserves. Surrounded by the largest industrial area of the country, Busan also has the busiest port. The summer is usually the busiest period for the city, when tourists arrive to enjoy the weather. 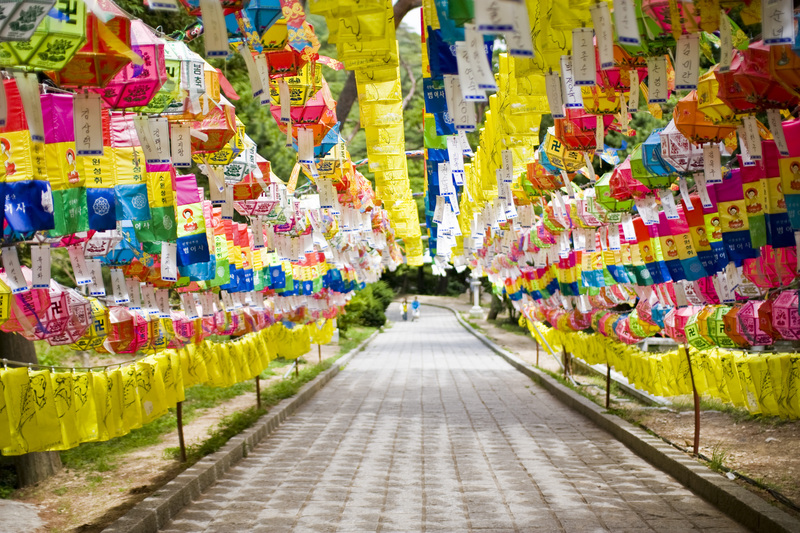 Here are the Top 5 Tourist Attractions to visit in Busan, all of which hold important cultural or historical significance. All these are permanent locations which can be visited and viewed at any time throughout the year. 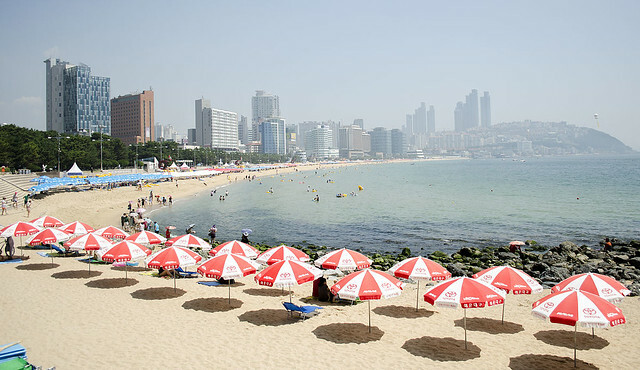 The city of Busan, in Yeongnam, is famed throughout South Korea for its beaches. And none are more famous than Haeundae Beach. This 1.5 kilometer stretch of white sandy coastline hosts beach festivals all your round, and is a popular spot for watching the sunrise or sunset. Its shallow bay is popular with swimmers, and on sunny days, the place is lined with vibrant, colourful parasols. This area even looks picturesque from afar! 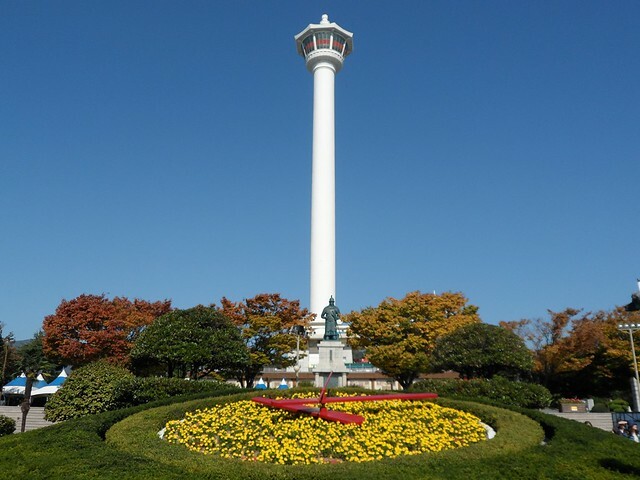 Translated as 'Dragon's Head Mountain', Yongdusan Park in Yeongnam, South Korea, is home to several attractions. The highlight is the 118 metre high Busan Tower, which offers fantastic panoramic views of the city. 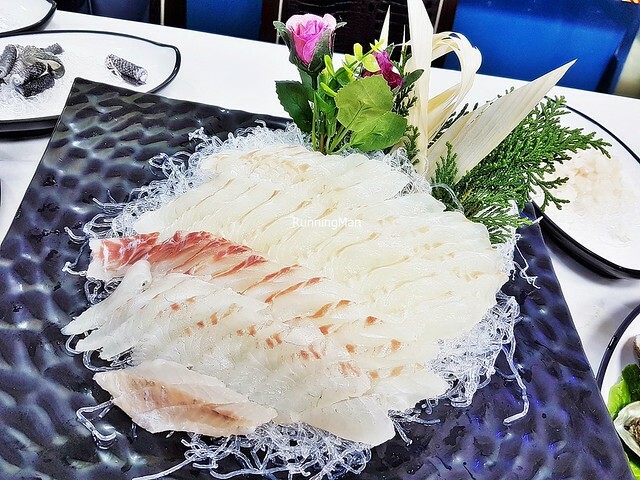 Other sights include the Statue Of General Yi Sun-Sin; the Museum Of World Folk Instruments, which allows visitors to handle and play some of the musical instruments on display; the Exhibition Hall Of World Model Boats; and the stunning Flower Clock. Also known as Taeguekdo Village, the enclave of Gamcheon Cultural Village gained acclaim throughout Yeongnam, and South Korea, when students decided to brighten up the neighbourhood with an artistic makeover in 2009. 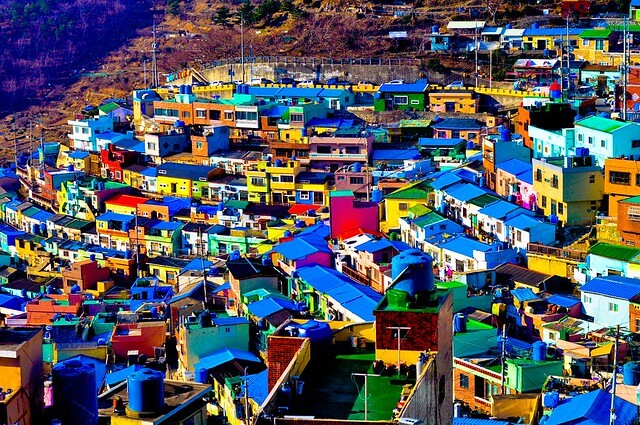 Today, this area of Busan is a colourful, quirky community of Lego-shaped homes, shops, and galleries. The labyrinth of alleys hosts a myriad of beautiful street art, delicious street food, and the Little Museum, which exhibits over 70 old-fashioned household items curated from the neighbourhood. Located at the foot of Mount Geumjeongsan in Busan, Yeongnam, the Beomeosa Temple is famed across South Korea. Translated as 'Heavenly Fish', this magnificent Buddhist temple is surrounded by extraordinary picturesque scenery, in particular, the lavender wisteria flowers. The complex has several designated treasures, including the Three Story Stone Pagoda, the Daeungjeon (or main temple hall), and the Iljumun (or One-Pillar Gate), which is the 1st gate to the temple. 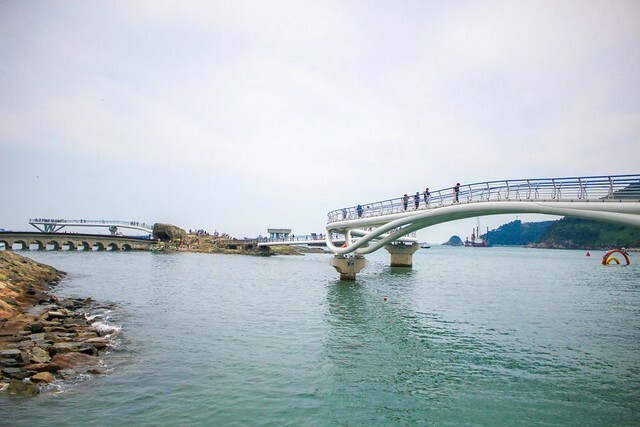 The Songdo Beach Skywalk is among the more recent attractions in Busan, Yeongnam, South Korea. At 365 metres long, this curved sea overpath is the longest in the country, and offers views of the azure blue ocean through a double-reinforced tempered glass floor. The promenade also allows for a complete panoramic view of the beach and city skyline. The sleek architecture is said to resemble a dragon flying over the sea, and naturally, the design is photogenic. 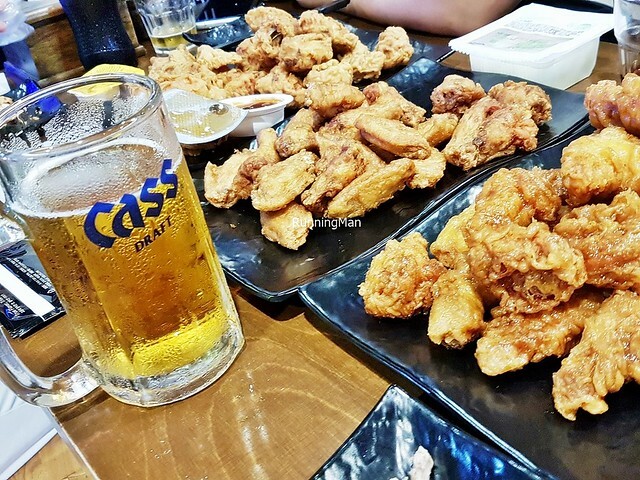 Busan Street Food is part of the larger tapestry of Korean cuisine in South Korea. 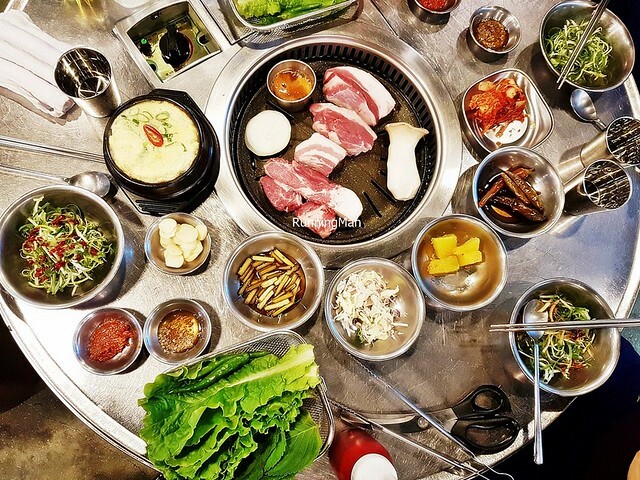 Unique for being a largely standalone cuisine, with little outside influence, Korean cuisine originated from an agricultural society, and through interaction with the natural environment. 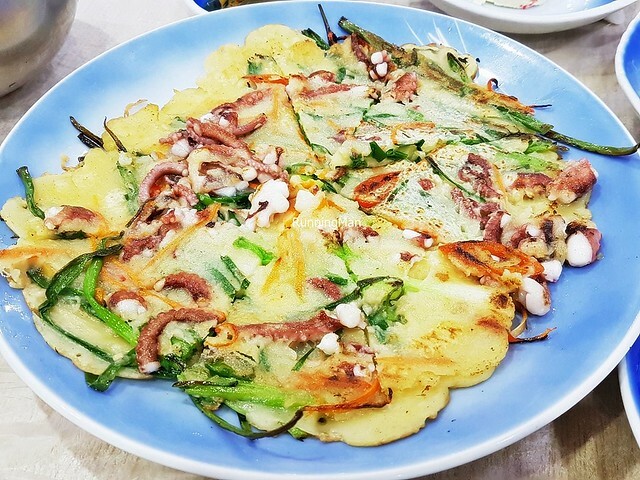 The Yeongnam region in particular is known for its fish and fish cake items, as such, Busan Street Food features a large variety of dishes where fish cake is incorporated into the dish. 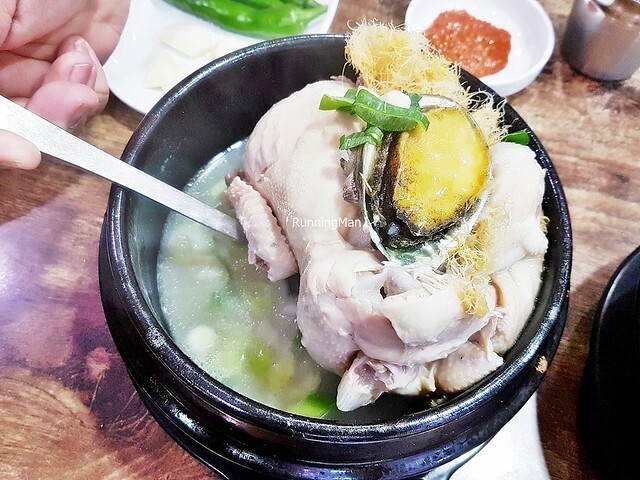 The area is also known for its regional specialities of noodles and soups. 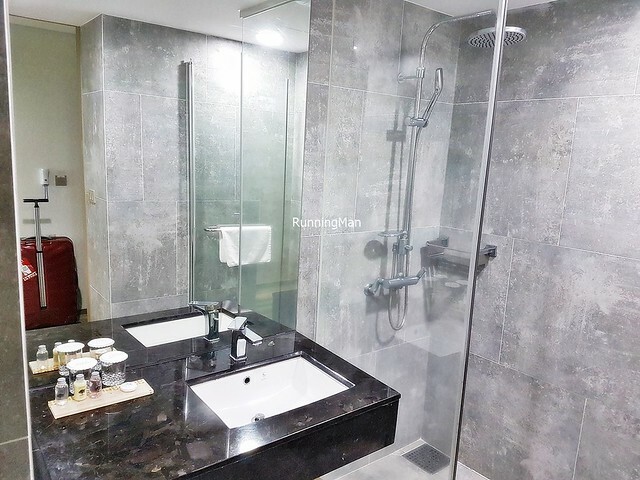 Located about 45 minutes drive away from the Gimhae International Airport in Busan, the Flower House Apartment is a 2 bedroom rented apartment. 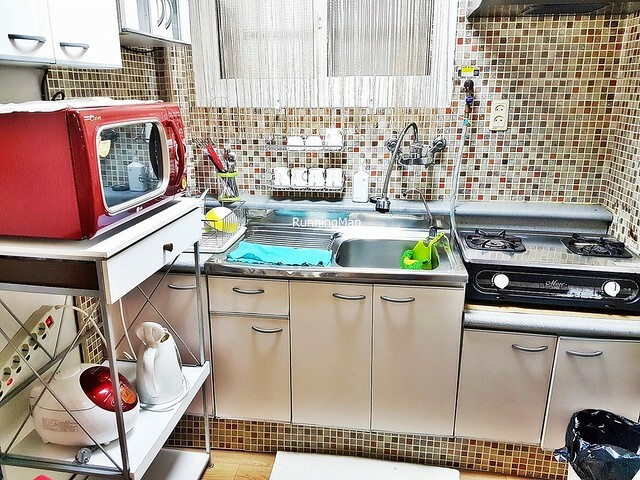 Flower House Apartment is conveniently located within 5 minutes walk from Busan Station (subway metro), and the nearby neighbourhood of Chinatown and Texas Street is home to many foreign restaurants. 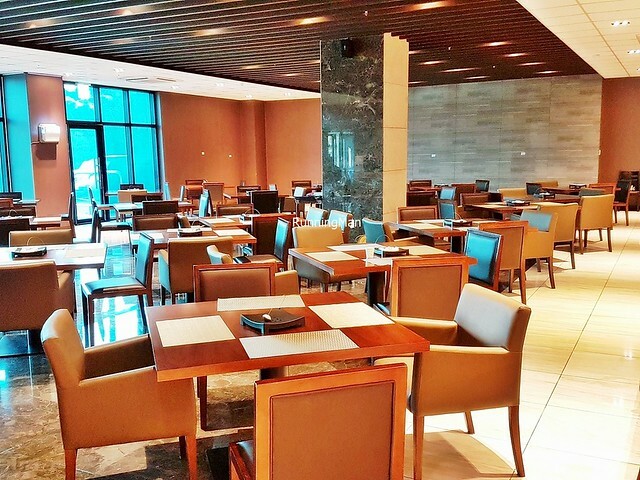 A popular area for expatriates / expats to gather. Ambience at Flower House Apartment is cozy, pretty, and comfortable. 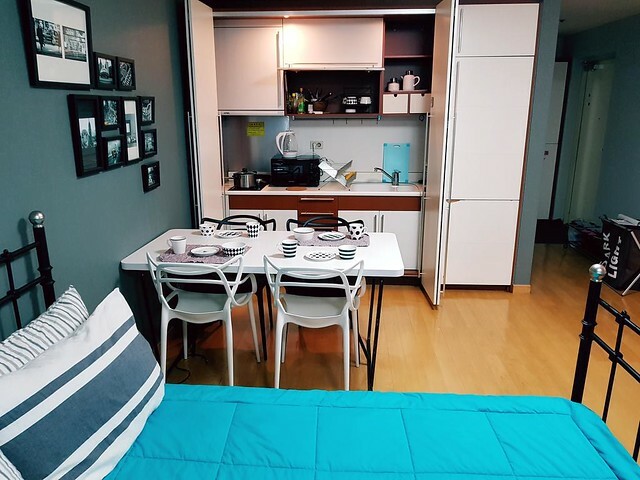 As a fully-furnished apartment, it includes a living room and dining room, with fast and stable internet wi-fi access. 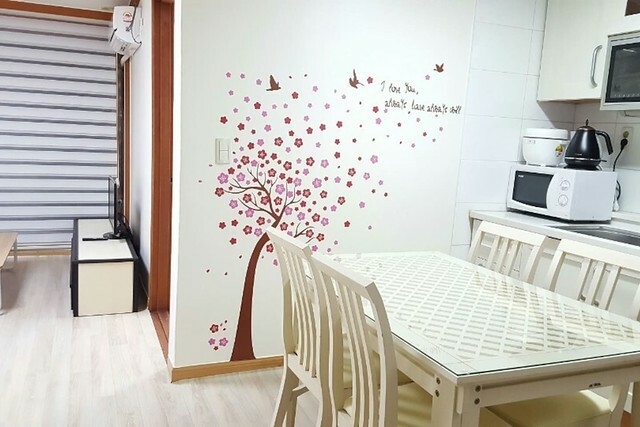 The place is neat and clean, and the highlight is the pretty wallpaper, lending an attractive touch to decor. There isn't much of a view though, and the corridor outside is cramped. 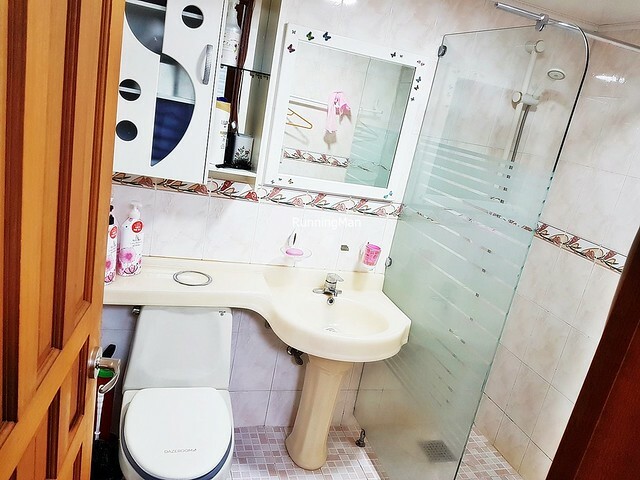 Rooms at Flower House Apartment are comfortable, furnished with large beds. The place can accomodate up to 7 adults, provided you don't mind sharing beds. However, there is only enough wardrobe space for at most 3 people. Not all rooms are air-conditioned, but at least it's equipped with fans. I note that there is sufficient power sockets for all our devices too. Food at Flower House Apartment can be prepared by yourself, using the fully equipped kitchenette. The stove is easy to operate, and I cooked 2 breakfasts here. Cutlery and dish washing equipment is provided, but you'll have to buy your own condiments, seasoning, and paper towels, besides the main ingredients. Service at Flower House Apartment is responsive. 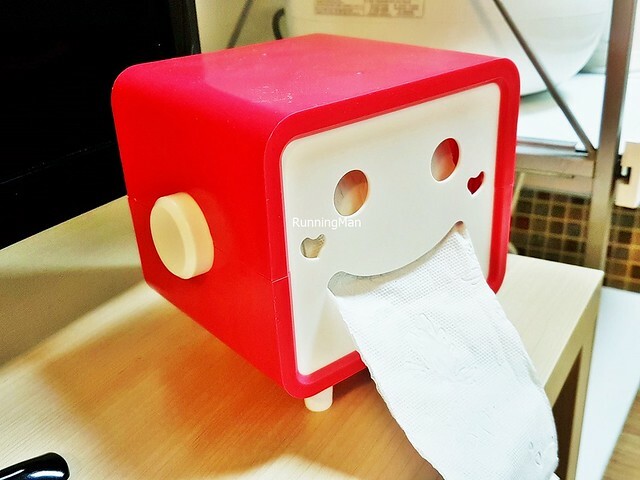 The host / owner typically replies messages within 1 hour, and upon check-in, will guide guests in operating the various equipment in the house. She also provides a pick-up for guests and their luggage when you first arrive. 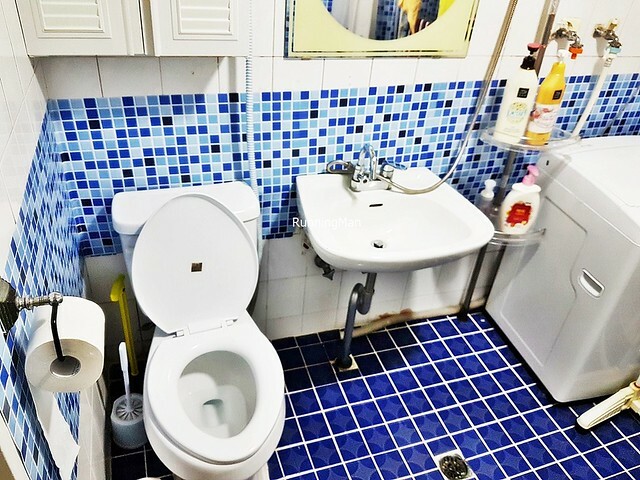 However, guests are expected to clear their own trash, and naturally, keep the place clean. 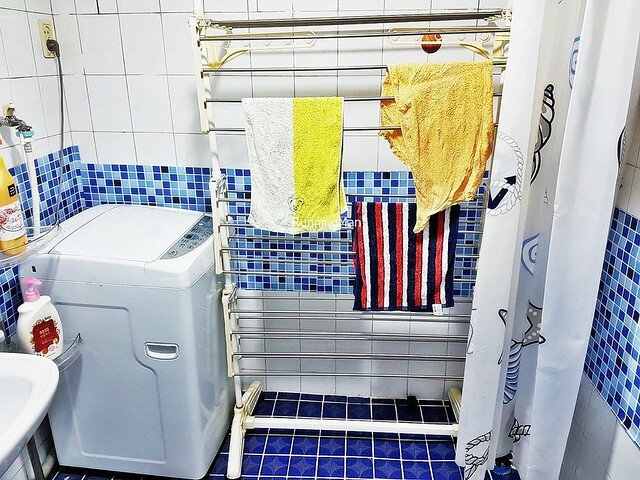 The facilities and activities at Flower House Apartment is limited to watching cable television, surfing the internet, cooking, or doing the laundry via the washing machine provided. 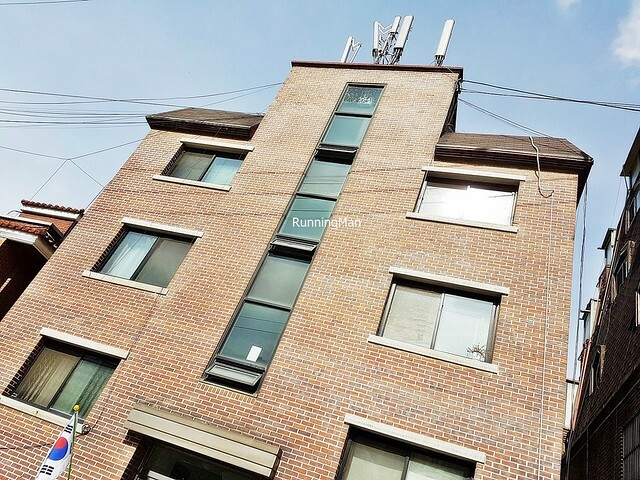 However, Flower House Apartment is located near to many shops, restaurants, and convenience stores. The area also has several relatively hip night spots and clubs. Family-friendly during the day, not so much at night. 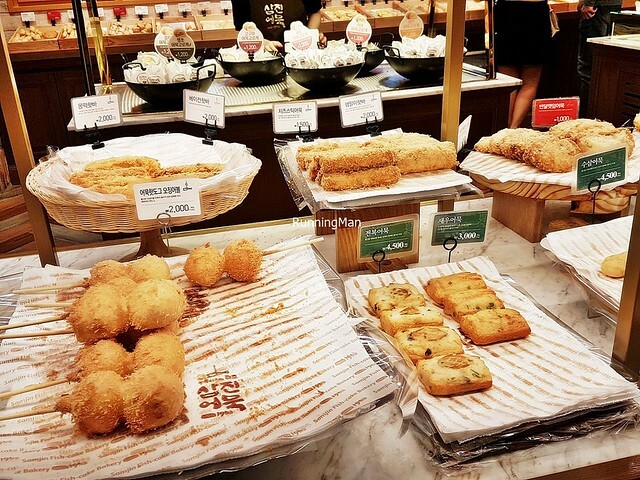 Snapshots of some of the shopping malls and markets in Busan. Some examples of the shops in Busan, whether along the streets or within the shopping malls. The dual cities of Jeju & Seogwipo, in Jeju Special Administrative Province, South Korea, are co-located on the same small island. Here, tourism is the main industry, and every part of the island is within a 2 - 3 hours drive. 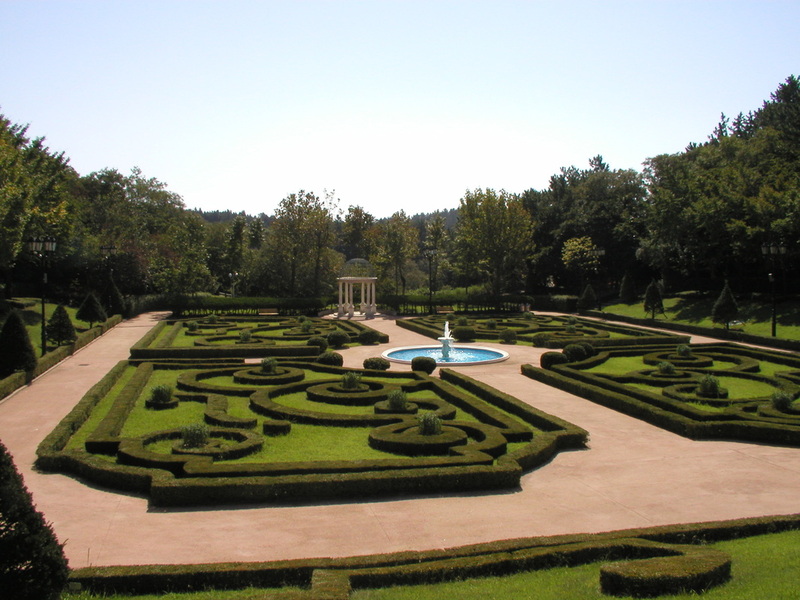 As a popular vacation and honeymoon spot, the place is geared towards tourists, which means higher than normal prices. Besides the beautiful natural scenery, there are several unusual theme parks and niche attractions to be seen here. 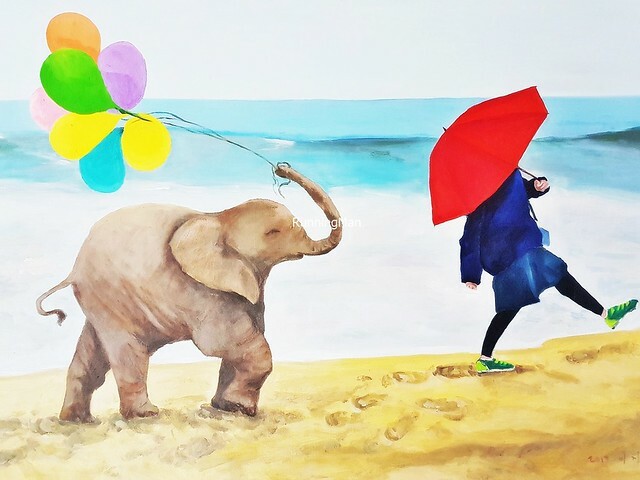 Here are the Top 5 Tourist Attractions to visit in Jeju & Seogwipo, all of which hold important cultural or historical significance. All these are permanent locations which can be visited and viewed at any time throughout the year. 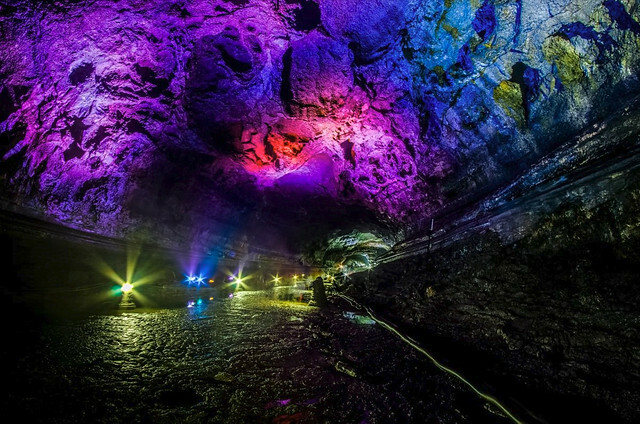 The Manjanggul Lava Tube near Jeju & Seogwipo, Jeju Special Administrative Province, is a huge cave, formed by molten lava in ancient times. As one of the longest natural structures in South Korea, it has significant scientific and heritage value, owing to its excellent condition of preservation. Natural features include lava stalactites, lava stalagmites, lava columns, lava helictites, cave coral, lava bridges, and lava shelves, amongst several wildlife. The multi-coloured carbonate markings are particularly striking, and walking within the cave formation lends an other-worldly, surreal feel. Regarded among the best curated gardens in both Asia and South Korea, the Yeomiji Botanic Garden, near Jeju & Seogwipo, Jeju Special Administrative Province, contains approximately 2,000 species of rare tropical and subtropical plants. 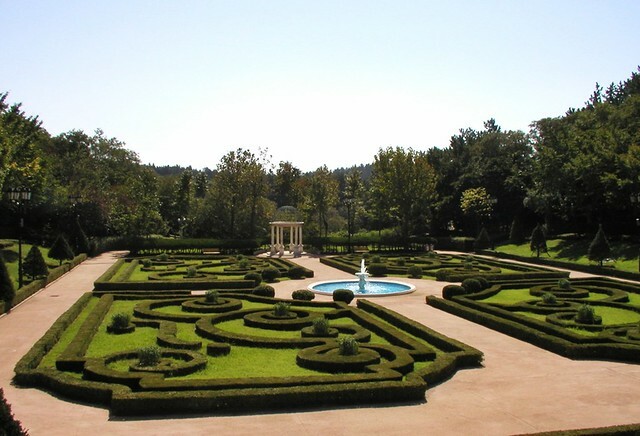 Themed around sections, highlights include the Flower Garden, Water Lily Garden, Native Garden, Jungle Garden, and Country Folk Gardens. Another highlight is the 38 meter high Observation Platform, which offers clear views of Hallasan Mountain and the nearby coastline. Located near Jeju & Seogwipo, the Cheonjeyeon Waterfall & Seonim Bridge is a combination attraction famed in Jeju Special Administrative Province, South Korea. 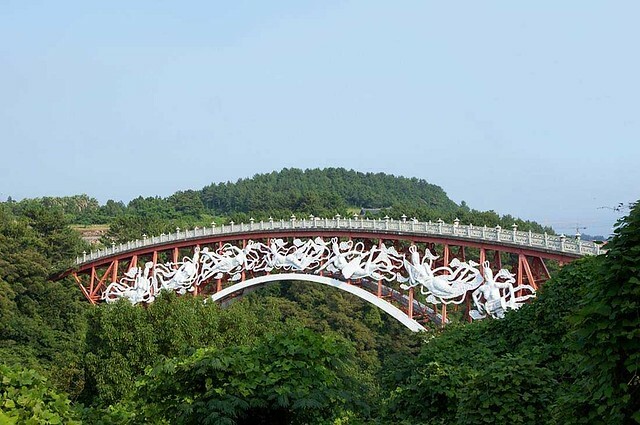 The iconic red and white arch bridge has 14 nymphs carved on its sides (7 per side), each playing a musical instrument, and looks particularly striking from afar. This pedestrian bridge leads to the three-tier waterfall, a beautiful area with rare plants such as the skeleton fork fern, where the flow of water to the ocean looks like a series of steps. Translated as 'Pond Of The Emperor Of Heaven', the legend behind this area tells of 7 fairies who visited the king in this pond. 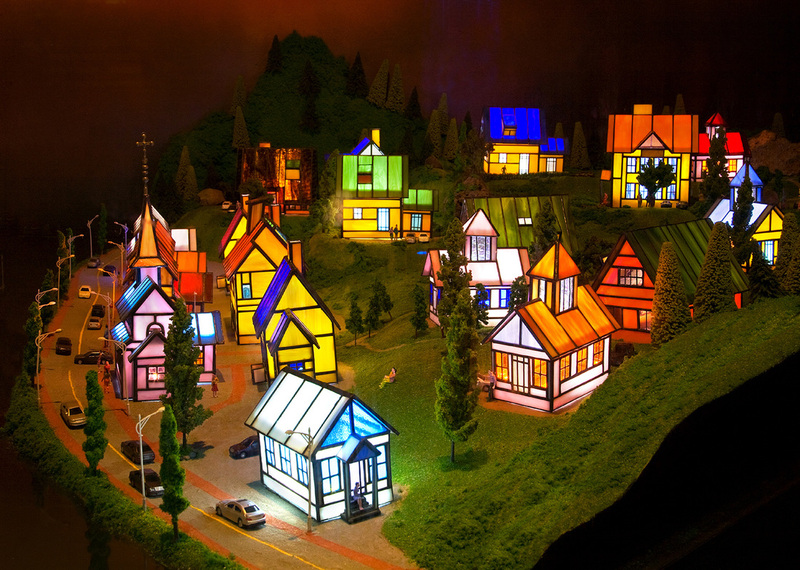 The colourful, vibrant, whimsical Glass Castle near Jeju & Seogwipo, Jeju Special Administrative Province, South Korea, is a niche theme park dedicated to glass art. Hosting over 250 glass sculptures and models across 6 themed zones, highlights include a glass labyrinth, the world’s largest glass ball, a glass waterfall with a lake of mirrors, a glass bookshelf with glass books, glass flowers, glass model villages, and more. The bright crystalline colors and intricate designs here evoke a sense of child-like wonderment. 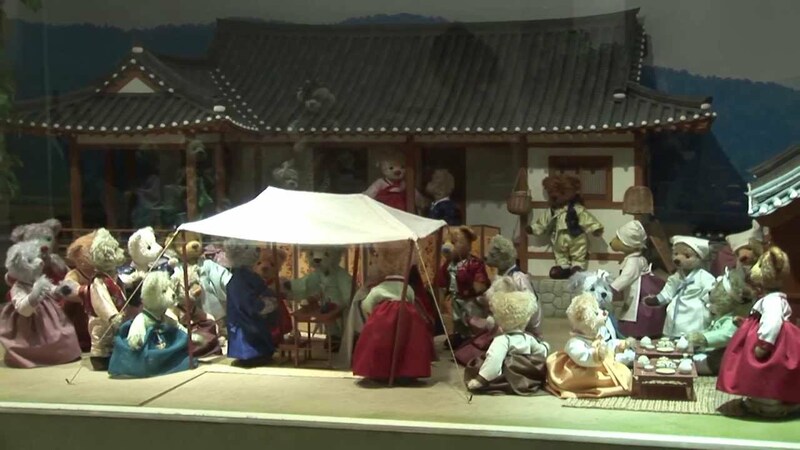 Regarded among the most famous of its kind in the world, the Teddy Bear Museum in Jeju Special Administrative Province, South Korea, is dedicated to teddy bears, styled in both international and local Korean designs. 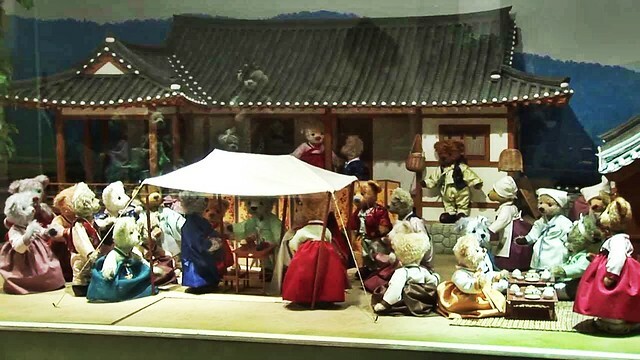 Located near Jeju & Seogwipo, the collection is varied and diverse, featuring handcrafted teddy bears dressed in authentic period costumes with life-like poses. They even pay homage to famous artworks by recreating the piece with teddy bears! 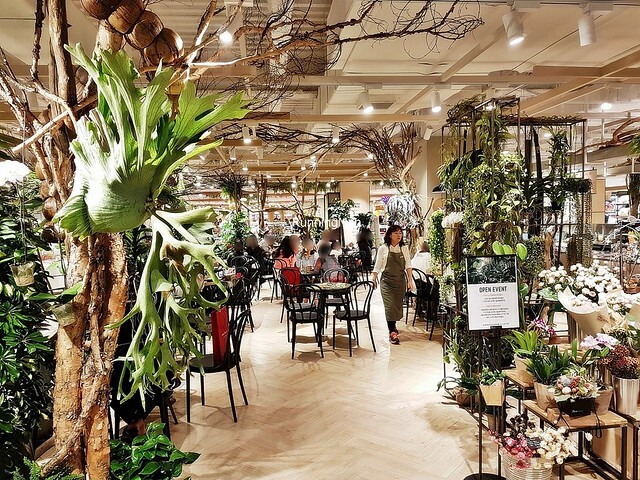 Another highlight is their picturesque fairy-tale outdoor garden, which served as the shooting location for several famous Korean television dramas. 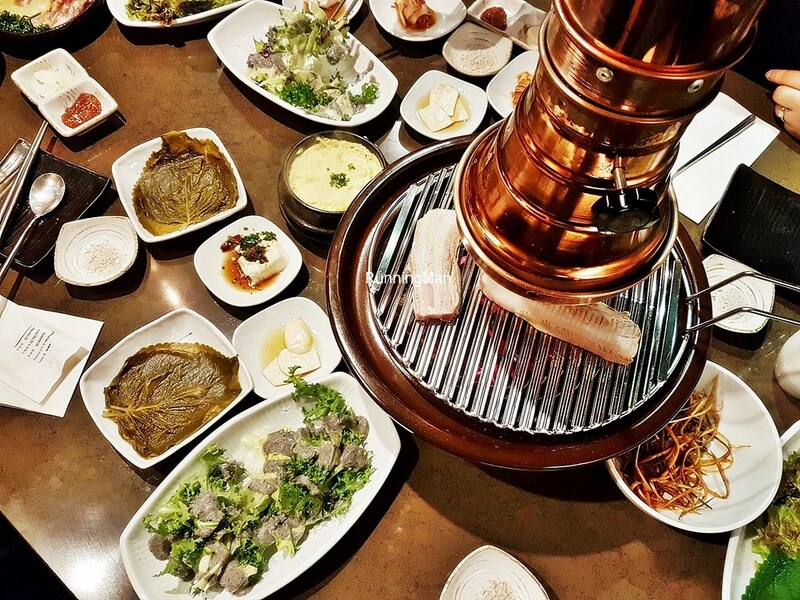 Jeju & Seogwipo Street Food is part of the larger tapestry of Korean cuisine in South Korea. 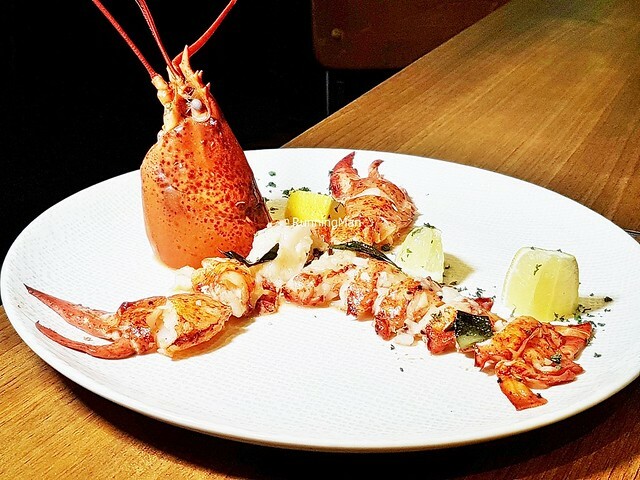 Unique for being a largely standalone cuisine, with little outside influence, Korean cuisine originated from an agricultural society, and through interaction with the natural environment. 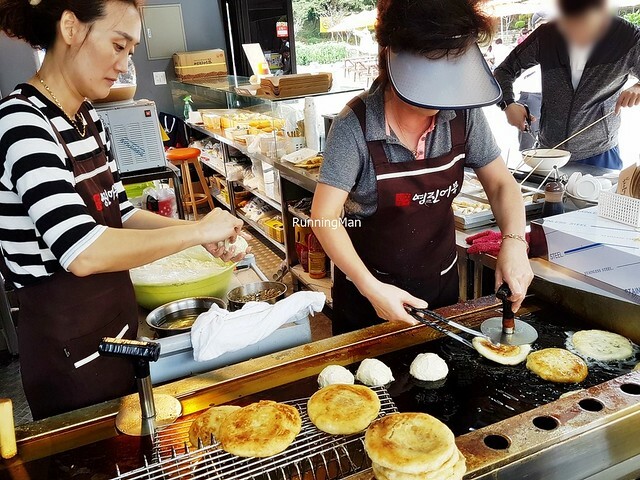 Jeju & Seogwipo Street Food differs in several aspects compared to the mainland, and is largely reliant on local produce and farm stock. There is a heavier emphasis on freshness of ingredients, and in the making of soups and stews. Spent about SGD $190 per person. 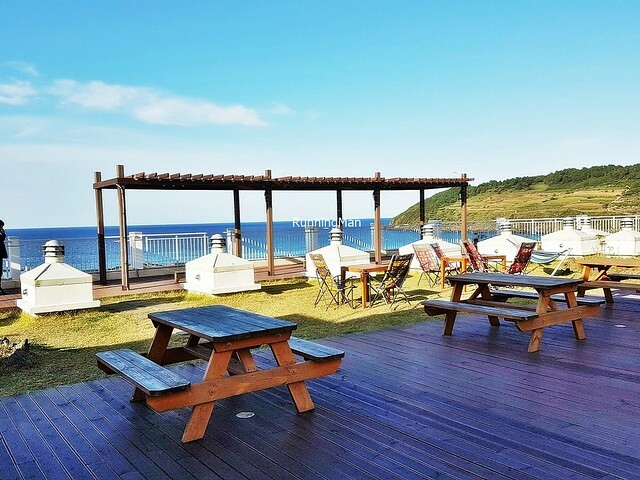 Located about 45 minutes drive away from the Jeju International Airport in Jeju & Seogwipo, The Artstay Hotel near Hamdeok Beach offers a great place from which to explore the island. Beyond the nearby natural attractions such as beaches, mountain trails, and farmlands, The Artstay Hotel is also about an hour's drive away from the island's many theme parks. 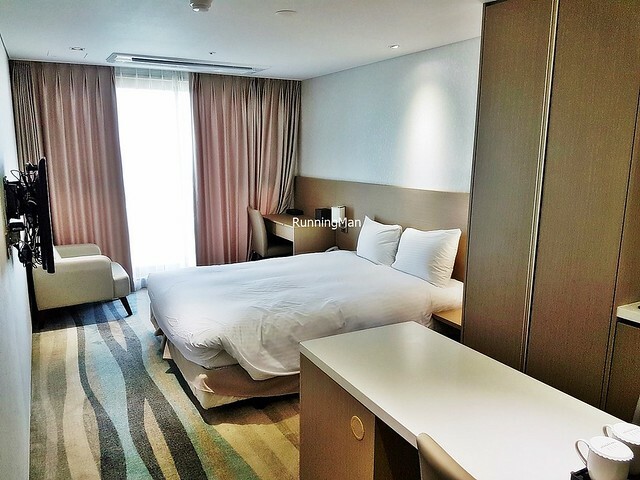 But the best part of staying here is the sweeping, panoramic views of the clear blue ocean and skies, and the sight of the vibrant greenery of the mountains beyond the city. 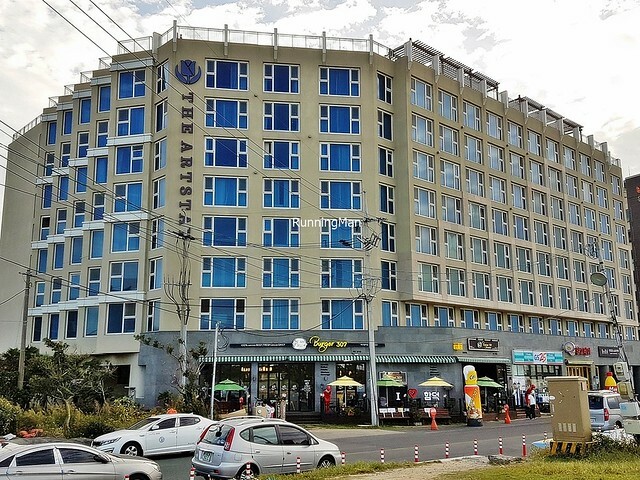 Ambience at The Artstay Hotel is modern and clean, with a quiet elegance. 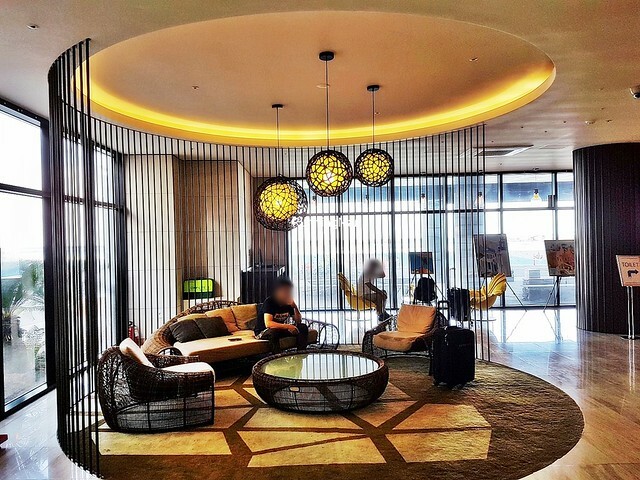 The warmly lit, spacious lobby hosts a rotating art exhibition, featuring works from local artists, drawing the eye of guests immediately upon entry. The clean lines, off-white and grey colours along the corridors have a calming, serene feel. The best location for me is the open rooftop, with the Rooftop Lounge, which has clear, 360 degree views of the beautiful settings around. 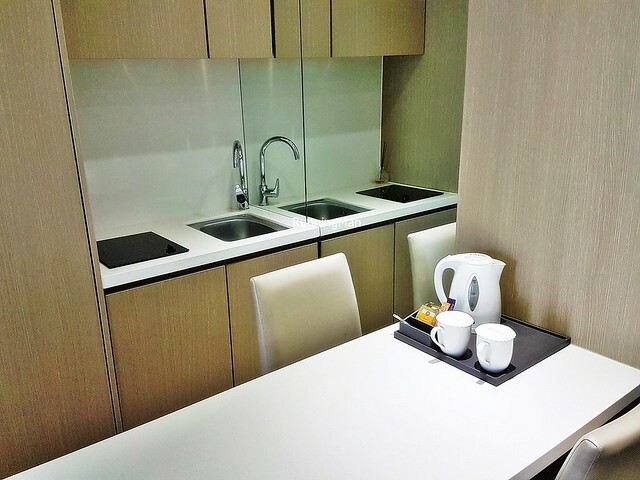 Rooms at The Artstay Hotel are clean, comfortable, and come equipped with a small but functional kitchenette. The queen size bed is large and comfortable, and the bathroom, with its grey tiles, is clean and functional, stocked with basic amenities. I can see why couples love the cozy room. The in-room internet wifi is fast and stable, but the cable television channels are rather limited. Food at The Artstay Hotel is provided by the Orsay Restaurant. 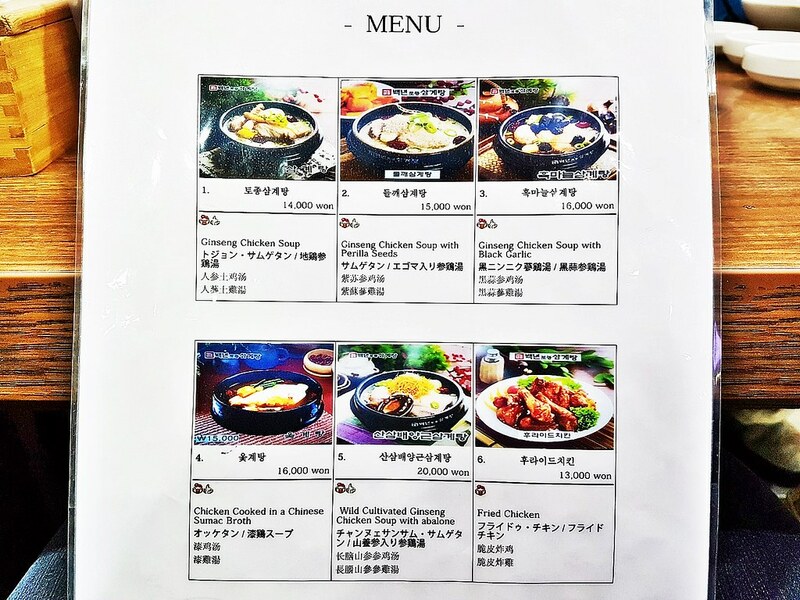 Generally, the local food is decently executed, though I've had better Western style selections elsewhere. However, there are a multitude of nearby cafes and restaurants, and it's almost a shame to stay here and not eat out. You could also choose to cook in the in-room kitchenette, though this may cause the cooking odour to linger within the room. Service at The Artstay Hotel is courteous and friendly. Staff can converse in basic English, and carry out requests quickly and efficiently. I like that they'll share additional information on the area during check-in. However, the room service staff didn't properly make the bed during my visit, resulting in a semi-messy look for the bed. In addition, there doesn't seem to be a valet service available, though it's common in some of the other hotels here. The facilities and activities at The Artstay Hotel are geared towards the leisure traveller. While there is a business centre and conference rooms, these are relatively small and basic. 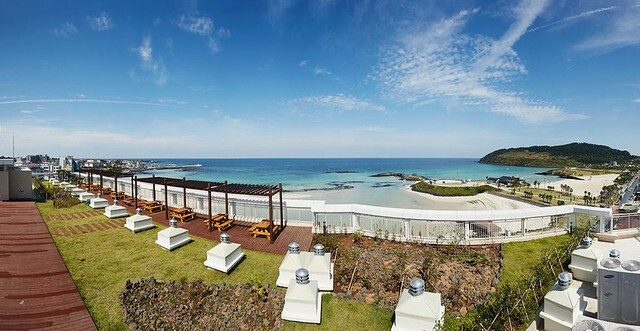 Besides the many nearby eating places, the beach is right beside the property, along with several convenience stores. 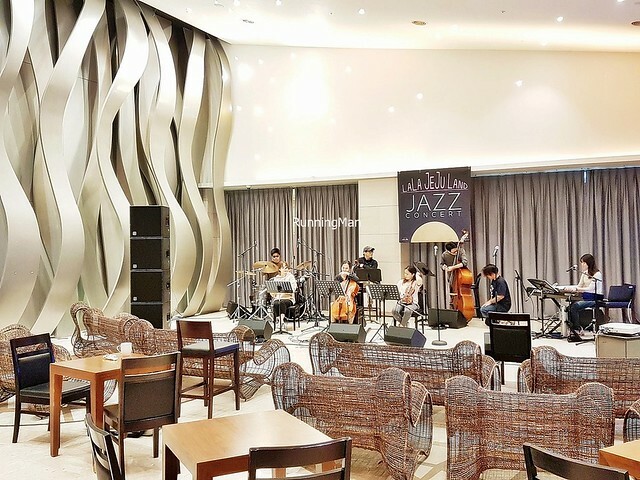 Within the hotel, there isn't much beyond the Rooftop Lounge, though I saw a Jazz performance being held at the restaurant during my visit.